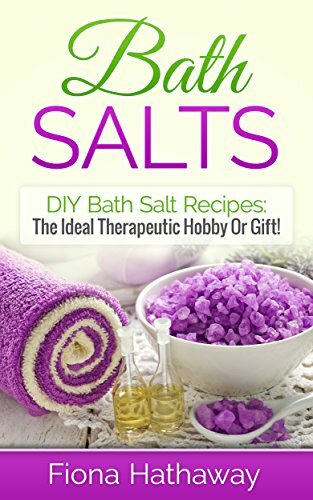 Have you ever wondered how to make homemade bath salts? I have very sensitive skin so I need to be careful when it comes to skincare and bath products. Some products leave my skin dry and irritated so I prefer to make my own bath products when I can. Not only is this a great DIY if you have sensitive skin, but it’s a wonderful gift idea for anyone who enjoys homemade bath products. This makes a small batch of bath salts. You can easily double the quantities if you want to mass produce this for gifts or for a craft fair. I keep mine in a plain Mason jar which isn’t fancy but it’s what I have on hand. If you want to give it as a gift, you can buy a few fancy jars with cork stoppers to dress it up. You can customize this recipe by changing the color of the roses you use. Pink is pretty for Valentine’s day or Mother’s Day. Red is popular for Christmas. I like the deep orange ones for my homemade bath soak the best because it’s such a happy color. Learn how to make your cut roses last longer. 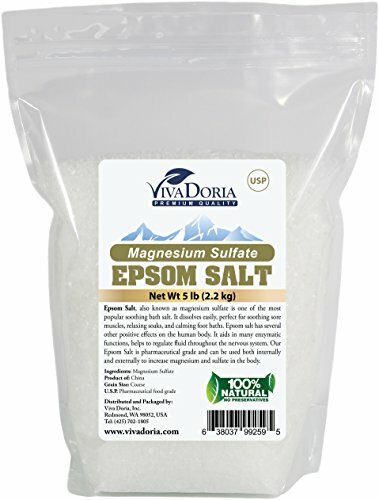 You can also add in essential oils when you make homemade bath salts. I generally use lavender or chamomile. But, you could use rose or orange as well. Just don’t choose anything too strong or it will overpower the rose scent. Please use essential oils and NOT fragrance oils. They aren’t the same thing. Mix everything together in a glass bowl. Store in a tightly covered glass jar. Sprinkle a handful into the tub to enjoy. It’s important that you use a glass jar to store this bath soak. If you use plastic, the scent will stick to the plastic and it won’t wash out easily. So, if you ever choose to make a different scent in the future, you’ll have a problem with fragrances blending. If you’re wondering why to make homemade bath salts with baking soda, it’s because baking soda helps your skin stay soft. love this DIY idea. Thank you for sharing. Good tip to know about using glass instead of plastic. 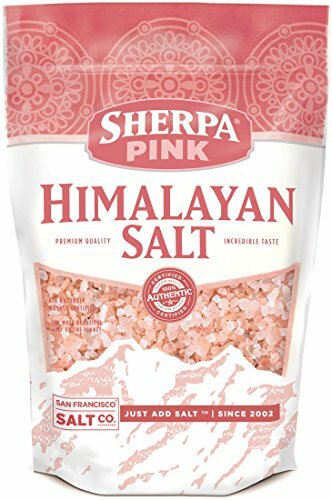 I picked up some course grain Himalayan pink salt that would be just perfect for this. Very easy to make with things you already have!